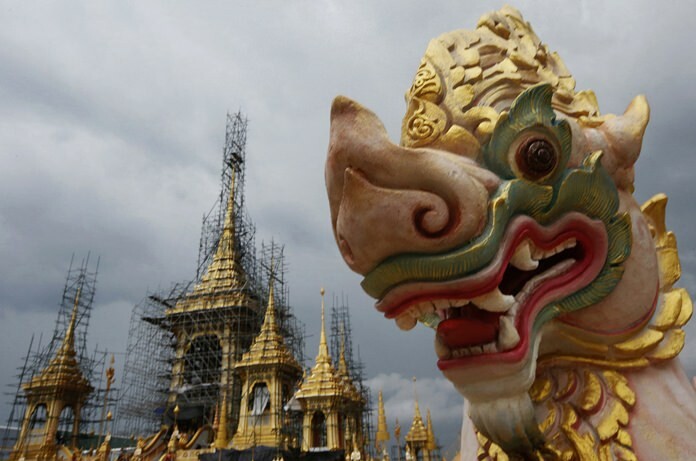 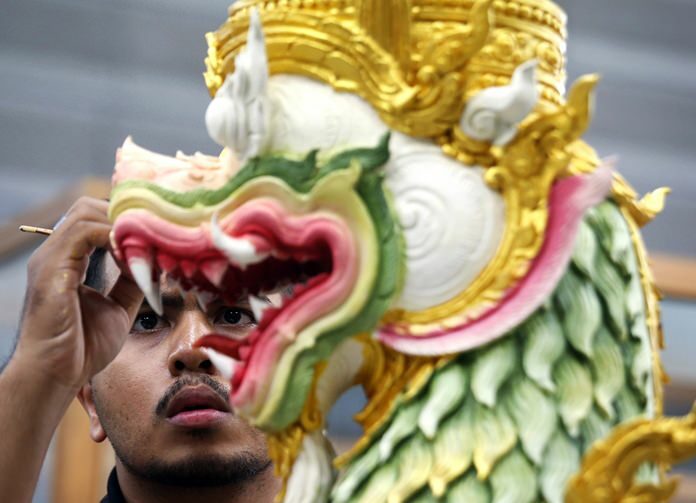 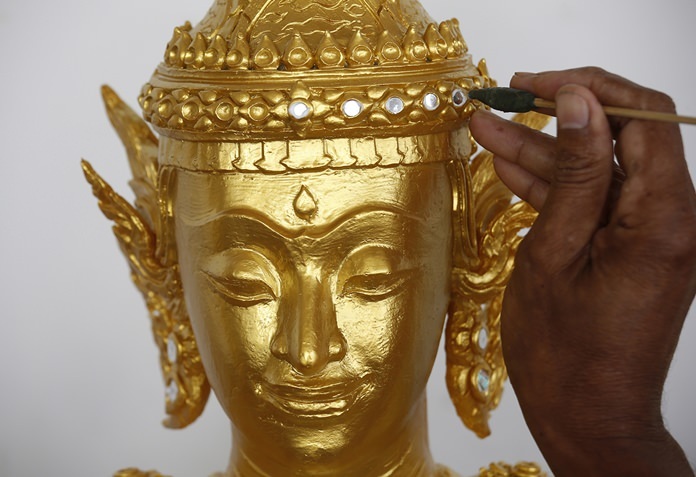 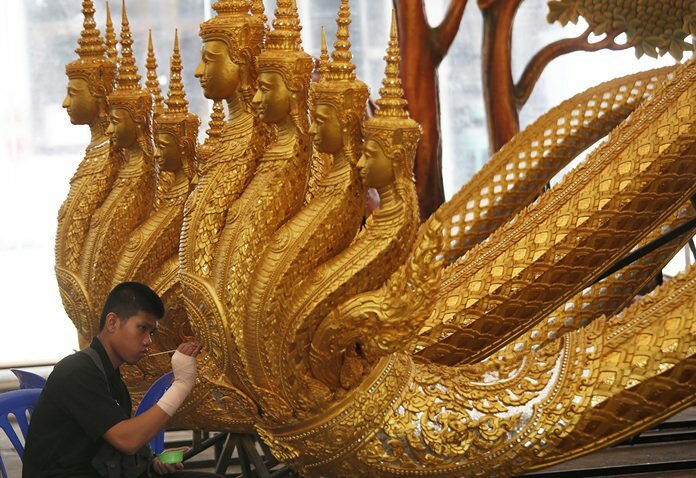 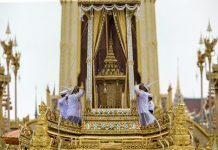 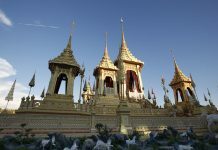 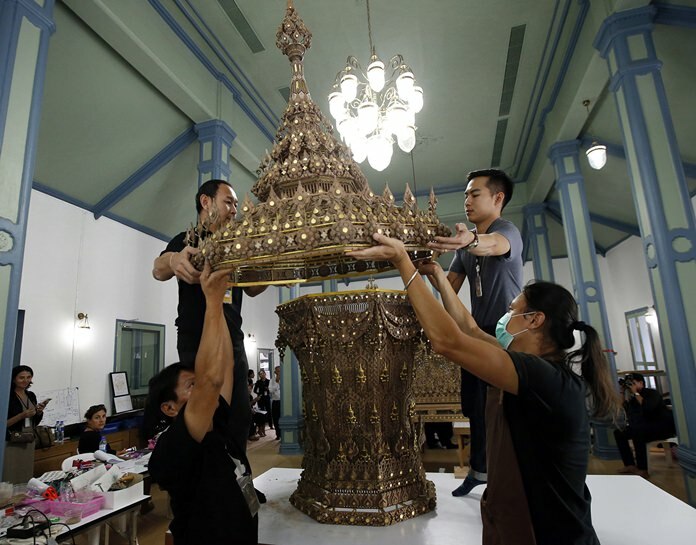 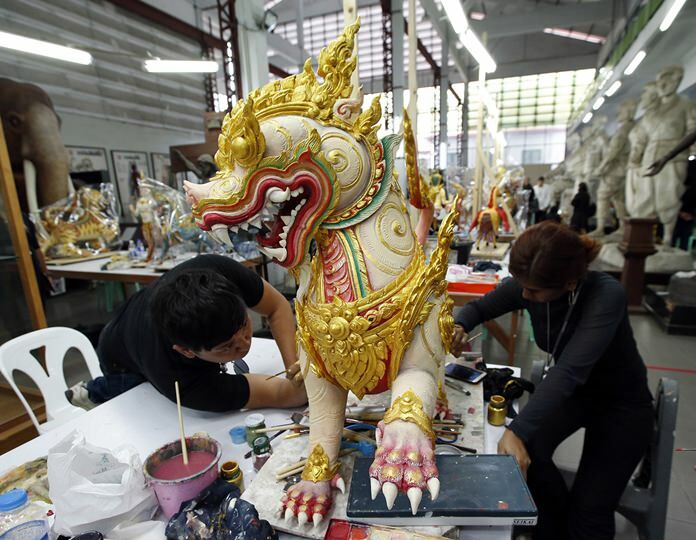 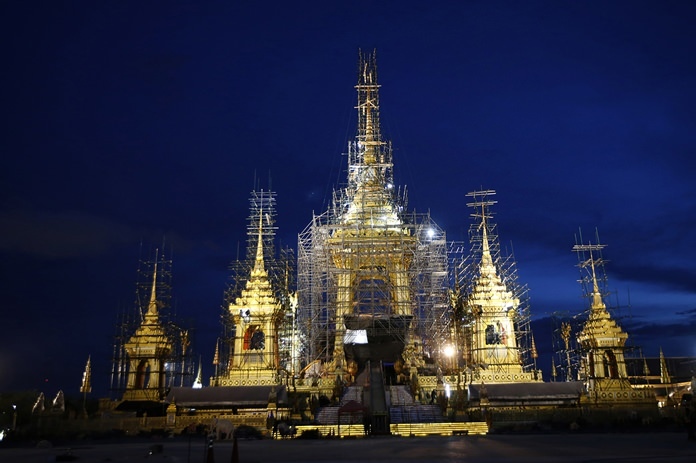 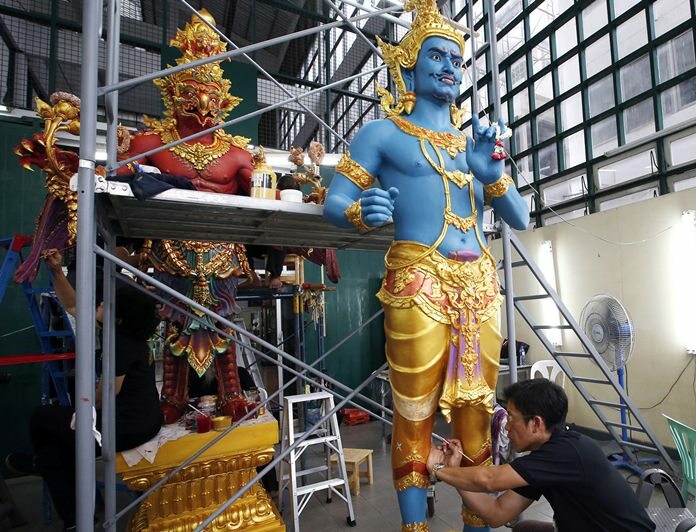 Bangkok (AP) – Thai artists and craftsmen are putting the finishing touches on an elaborate crematorium complex ahead of the funeral of King Bhumibol Adulyadej, who reigned for 70 years before his death on Oct. 13, 2016. 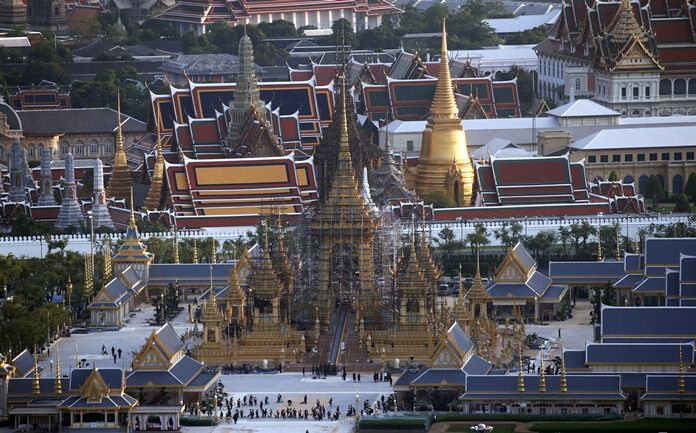 HM King Bhumibol will be honored in an elaborate royal cremation ceremony from Oct. 25 to 29. 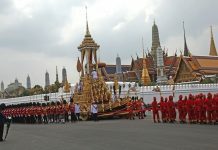 The events, which have a budget of 1 billion baht ($30 million), are the culmination of more than a year of official mourning.